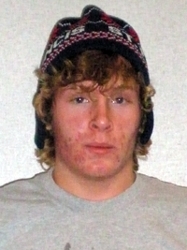 St. Francis' Joey Bednik frequented the score sheet during the 2009-2010 season and sniped his way to a 65-goal Minnesota high school record. Goals haven't come quite as easy in the British Columbia Hockey League (BCHL) but the Penticton Vees' forward displayed flashes of his high school brilliance. Bednik rang in the New Year with his first BCHL hat trick and it looks like 2011 may lead to further successes.